An oblique approach to image choice would add subtlety but, frankly, it’s been a long week. I’m a big fan of the jigsaw classroom (Aronson et al, 1978) to the point where I probably overuse it. If you’re not familiar, it’s a cooperative learning activity format in which students learn part of a topic so they can teach it to others and, in turn, are taught other parts by them. The aim is that all the students end up learning the whole topic. The students are organised into ‘jigsaw’ groups. Each jigsaw group is then split up and rearranged into ‘expert’ groups. Each expert group is given responsibility for mastering one part of the topic knowledge. The expert groups are then returned to their jigsaw groups, where they teach each other. There’s a good guide to the jigsaw technique here. When it’s done well, jigsaw promotes a high degree of interdependence amongst learners and exposes all the students to the material to be learned, both of which contribute to its effectiveness as a psychology teaching strategy (Tomcho & Foels, 2012). Compared to non-cooperative methods (i.e. those that do not require interdependence) techniques like jigsaw provide more effective learning of conceptual knowledge, a greater sense of competence and more enjoyment of learning. This is particularly so when the activity is highly structured with assigned roles, prompts for self reflection, and both individual and group feedback on performance (Supanc et al, 2017). When I use it I like to keep group sizes to a maximum of four. If you have 16 or 32 students in a class that’s great because you can divide the material into four and have four students in each jigsaw/expert group. A group of 25 also works well, with the material divided into five parts. It can be a headache to assign groups when you have inconvenient numbers of students so you need to plan ahead and think about how you will ensure that every student learns all the content. The learning material is tailored to the students. This means adjusting the difficulty/complexity level of the material to be just difficult enough so that the students need to engage with it and each other to co-construct an understanding. Too difficult and they can’t do it; too easy and it becomes trivial; either way, they lose interest. The learning material is tailored to the timescale. Again, we want the students to create meaning from the materials and this takes time. If too little time is given then either some of the material won’t get taught, or students will resort to ‘information transfer’ and there will be no co-construction. You actively monitor what’s going on in the groups, particularly the expert groups. This is how we moderate the difficulty of the materials. We don’t want the students teaching each other things that are wrong. At the same time, it’s important not to just charge in and instruct the learners directly. Doing that undermines the point of the approach. In any case, I wouldn’t use jigsaw to teach fundamental concepts for the first time; it’s just too risky. I prefer to use it to elaborate on and deepen understanding of ideas. You have an accountability mechanism (i.e. a test). Multiple choice/online assessment is quick and effective if the test items are well written. Plickers and Socrative are useful tools for this. One approach that can work here is to tell the students that everyone will do the test but that each student will receive the average mark for their jigsaw group. This creates an incentive for students to ensure that everyone in the group does well (although it also creates an incentive to blame people if the group does badly, so YMMV). Here’s a set of materials for teaching some of the factors that moderate the misinformation effect on eyewitness testimony using the jigsaw method. This is for a one-hour lesson with a 10-15 minute expert groups phase and a 15-20 minute jigsaw groups phase. There is a slideshow that structures the lesson and a set of learning materials covering the moderating effects of time, source reliability, centrality and awareness of misinformation. You can extend the activity by prompting students to evaluate the evidence offered. If you are a Socrative user (free account with paid upgrades) you can get the multiple choice quiz using this link. As with all these approaches, there is no guarantee that it’s superior to the alternatives but the available evidence suggests it is worth trying. And, like everything, its effectiveness is likely to grow when both teacher and students are practised in the technique. Supanc, M., Vollinger, V.A. & Brunstein, J.C. (2017). High-structure versus low-structure cooperative learning in introductory psychology classes for student teachers: Effects on conceptual knowledge, self-perceived competence, and subjective task values. Learning and Instruction, 50, 75-84. Tomcho, T.J. & Foels, R. (2012). Meta-analysis of group learning activities: Empirically based teaching recommendations. Teaching of Psychology, 39 (3), 159-169. Hi. 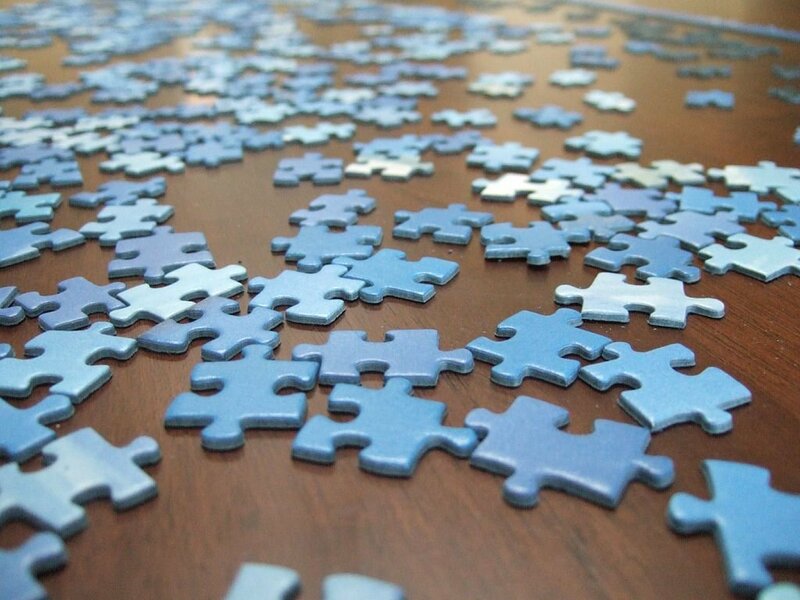 In terms of putting students into ‘jigsaw’ groups, do you do this randomly or based on ability? This approach is something I’m keen to try but I’m unsure whether to use mixed ability ‘jigsaw’ groups or groups based on attainment, i.e. putting my highest achievers together so I can give them the more complex parts of the text to stretch them. Thank-you.